Why Do Executives Choose Brian? 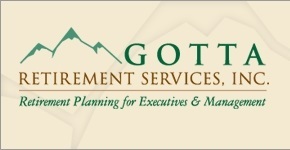 | Gotta Retirement Services, Inc.
Why Do Executives Choose Brian? Brian Gotta practices retirement lifestyle planning: he helps executives and managers organize their finances and explore their options so they can enjoy their free time and pursue goals and dreams without having financial worry. 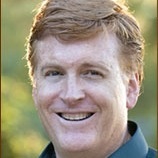 Brian is a graduate of internationally known Babson College. As the definition of "retirement" has evolved, so has his practice. Whether you want to retire all together or pursue new interests, you can benefit from his experience and insight. He can help you determine how much money you will need per month, and the expected return that your portfolio will need to earn. He’ll customize your retirement to provide financial stability and reveal specific ways to manage risk, invest conservatively, and retire confidently. The result is an income plan tailored specifically to meet your retirement goals. Brian feels his work is fulfilling – a chance to serve others, and to share his time and talents. 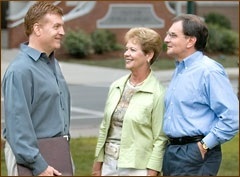 Through seminars, company events, and client referrals, he has earned a reputation as a retirement specialist to trust. You may request a meeting with Brian Gotta today. If you want to retire, you’ve gotta-plan!